Bokamper's is a sports bar and grill with a large menu of tavern cuisine including appetizers, wings, salads, ribs, burgers, sandwiches, entrees and desserts. 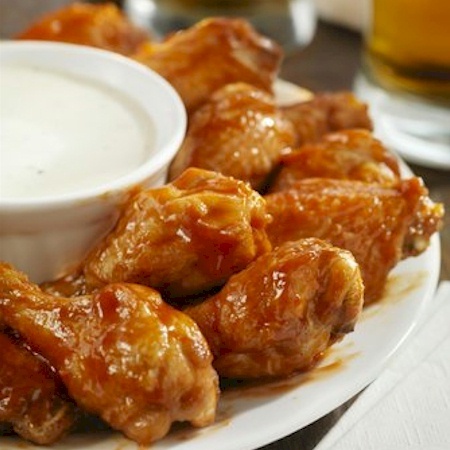 Bo's signature wings are tossed in combination of medium, BBQ and garlic sauces, then grilled to a charred perfection. Choose Small (10) or Large (20). Tossed in your choice of sauce or rub. 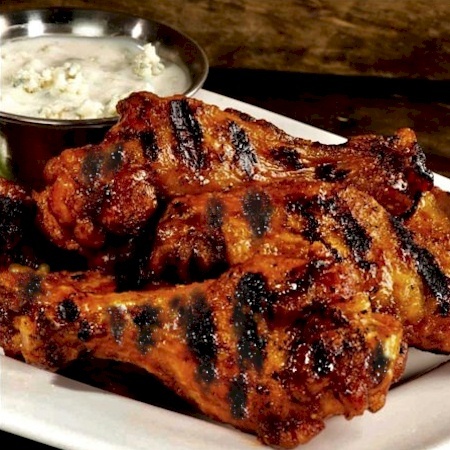 Tender, juicy and grilled to perfection. Served with lettuce, tomato, sliced onion and sliced pickles. Choose from over 20 other toppings at an additional charge to create the perfect burger! 100% all-natural succulent dry rubbed baby back ribs, slow roasted in our custom smokers with Bo's signature BBQ sauce, coleslaw & american fries. 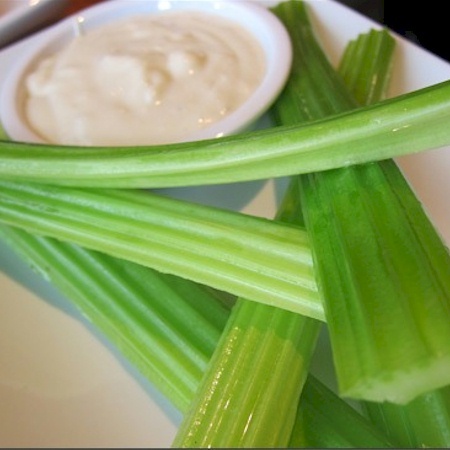 Serve with honey mustard & BBQ dipping sauces. Served with marinara sauce & shaved aged parmesan. Bacon bits, cheddar & jack cheese, sour cream & scallions. Housemade guacamole, pico de gallo & sour cream. Crispy, flash fried calamari served with our homemade marinara sauce and lemon aioli. Crispy onions strings, horseradish sauce, au jus for dipping. Layered nachos, queso, pico de gallo, olives, jalapenos and sour cream. Add chili or grilled chicken for an additional charge. Served with ranch sauce & toasted sesame seeds. Our proprietary blend, bleu cheese, crispy onion strings with an onion & bacon marmalade. Buffalo seasoned tater tots, diced grilled chicken, bacon bits, cheddar cheese, sour cream & scallions. Diced grilled chicken breast, applewood smoked bacon, avocado, bleu cheese crumbles, egg, cucumber, tomato, pickled red onion & mixed greens tossed in bleu cheese dressing, topped with potato sticks. Grilled chicken breast, roasted corn, crispy jalapeños, black beans, cheddar cheese, tomato, pickled red onion, & mixed greens with a chili lime vinaigrette. Bleu cheese crumbles, applewood smoked bacon, tomatoes, pickled red onions & a balsamic reduction with a creamy bleu cheese dressing. Tomato, cucumber, pickled red onions, mixed greens & house bake croutons served with your choice of dressing. Shaved aged parmesan with house baked croutons tossed in creamy ceasar drressing. Served with Westminster crackers. Choose a cup or a bowl. With shredded cheddar jack cheese and scallions. Choose cup or bowl. Bowl of French onion soup with melted swiss, provolone & parmesan cheese with croutons & fresh thyme. Chef's choice soup. Choose a cup or a bowl. 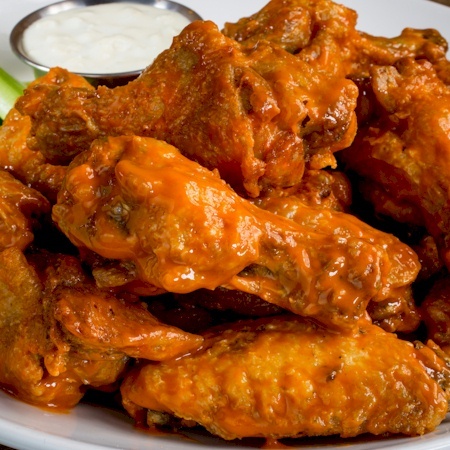 Wings served plain, mild, medium, hot, scorching, Caribbean jerk, parmesan garlic, teriyaki, BBQ, Thai chili, garlic or sweet & tangy. 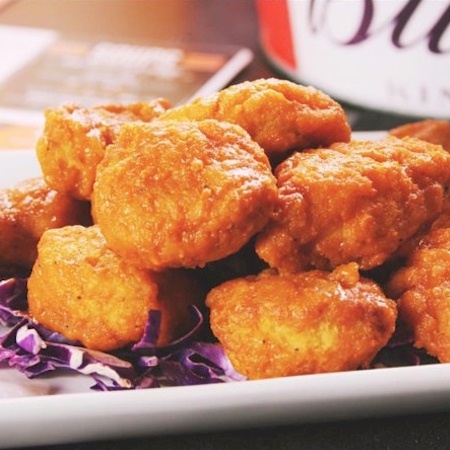 Perfect as an appetizer, a generous portion of boneless wings, tossed in your choice of sauce, served with ranch or bleu cheese and celery. Gluten free pizza dough avaliable. Choose your toppings from: peppers, pepperoni, onion, mushrooms, sliced jalapeños, tomatoes, sliced black olives, extra cheese, ground beef, applewood smoked bacon, diced grilled chicken, bleu cheese crumbles. Spinach, artichoke, diced tomato, scallions, cheddar jack & romano cheeses with a creamy sauce. Pepperoni, mozzarella & provolone cheeses with tomato sauce. Combination of mozzarella, provolone, romano & asiago cheeses with tomato sauce. Mozzarella & provolone cheeses, ground beef & applewood smoked bacon with tomato sauce, served with a side of pickles. Whatever you're craving - ribs or pork - Bo's Smokehouse Bar-B-Que offers mouthwatering, fall-off-the-bone tender meats and generous portions. That's why Bo's Smokehouse Bar-B-Que is a three-time HardRock winner in this category! Spicy buffalo seasoning, guacamole, coor ranch, pepper jack cheese, sliced jalapeños, lettuce tomato & sliced onion. Applewood smoked bacon, over medium free-range egg, american cheese, lettuce, tomato, sliced onion & pickles. Applewood smoked bacon, golden brown tater tots, bleu cheese & horseradish steak sauce. Aged Wisconsin cheddar, pickles, lettuce, tomato, sliced onion & our signature burger sauce. Pimento cheese, applewood smoked bacon, over medium free-range egg & bacon maple syrup on a waffle bun. All sandwiches served with fries, or for an additional charge substitute tater tots, sweet potato fries or onion rings. shaved rib eye, your choice of cheese, grilled onions, peppers & mushrooms on a hoagie roll. Melted bleu cheese, pickles, lettuce, tomato & sliced onion on a toasted bun. Sliced oven roasted all-natural top round, melted swiss cheese, caramelized onions, au jus & horseradish sauce on a hoagie roll. Melted aged Wisconsin cheddar, applewood smoked bacon, crispy jalapeño rings, tangy Carolina BBQ sauce, lettuce & tomato on a hoagie roll. Breaded cod filled, sliced tomato, lettuce, Asian slaw & remoulade sauce on a toasted bun. Lettuce, tomato, sliced onion & cucumber wasabi on a toasted bun. Pimento cheese, lettuce & remoulade sauce on a toasted hoagie roll. Avocado, macadamia nuts, cucumber, sushi rice, scallions, sesame seeds, pickled ginger & poke sauce. Diced teriyaki chicken breast, cucumber salad, asian slaw, sautéed peppers, sesame ginger sauce & sriracha. Grilled with olive oil, lightly seasoned, mixed greens & chef's vegetable. Served with American fries & tartar sauce. Crispy southern fried chicken tenders, cheddar Belgian waffles, bourbon maple syrup, sriracha aioli & honey mustard. Add two over easy free range eggs for an additional charge. Topped with melted cheddar cheese & parmesan panko crumbs. White rice, chimichurri sauce, pico de gallo, sautéed peppers & onion. Pico de gallo, pickled red onions, shredded lettuce, queso blanco, bangin' sauce, rice and black beans. Served with mashed potatoes and chef's vegetable, topped with herb butter and lemon. Warm tortillas, pico de gallo, shredded lettuce, sauteed peppers & onions, guacamole, cheddar jack cheese & sour cream. Baked in a cast iron skillet, then topped with a scoop of vanilla ice cream & chocolate sauce. Oreo cookies dipped in a sweet cream batter, fried until golden brown then topped with white & dark chocolate, served with a scoop of vanilla ice cream. a true authentic key lime pie! served with whipped cream and toasted sliced almonds. Deep chocolate Cake enrobed in chocolate and filled with dark chocolate truffle, served warm, unleashing a rush of chocolate. Choose from Pepsi, Diet Pepsi, Moutain Dew, Mist Twist, Schweppes Ginger Ale, Tropicana Lemonade.